Would you try another book written by Craig A. Falconer or narrated by James Patrick Cronin? Would you recommend Not Alone to your friends? Why or why not? 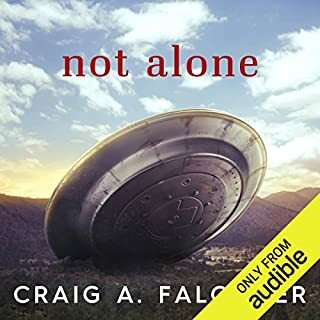 Do you think Not Alone needs a follow-up book? Why or why not? no follow up required the end is just that! 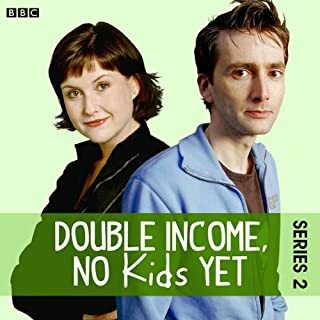 David Tennant ( Doctor Who) and Liz Carling ( Casualty) star in this sitcom about a young couple, Daniel and Lucy, and their circle of friends. In the third series, Katy's a mum at last, Daniel's got a new job, but Lucy's jealous. Daniel and Lucy rethink their priorities on a golfing break with their awful friends. And change is all around, but Lucy doesn't realise that Daniel can't keep secrets. Pregnant Lucy must also break the news to her parents and Daniel gets a taste of fatherhood. 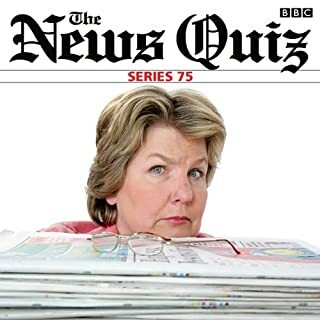 Series 75 of the show that takes a satirical look at the week's news. Chaired by Sandi Toksvig. Episodes include "Bills, Blair and Belhadj"; "Ghettos, Gap Years and the God Particle"; "Weirdos, War Games and Website Dating"; "Conferences, Catfights and Cuts"; and "Conservative Revolts and Charity Shops". Panellists include Dominic Lawson, Jeremy Hardy, Fred Macaulay, Andy Hamilton, Susan Calman, Marcus Brigstocke, Hugo Rifkind, Julia Hartley-Brewer, Laura Solon, Phill Jupitus, Bob Mills, and others. 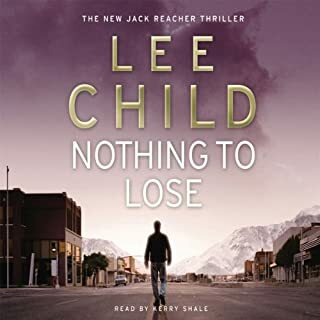 This was the first Jack Reacher novel I heard and I have now listened again and it's just as good. The plot is as enthralling as all Lee Childs work. Reacher is only after one thing the truth! even if he cant stand the guy he's helping the truth is more important. You will be kept guessing right to the end but with Lee Child that is never frustrating just enthralling. If you are a Jack Reacher fan you will love it. If you haven't heard a Jack Reacher story yet this is a great introduction, you will definitely download another! 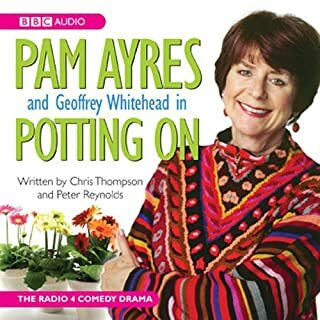 The complete first series of the hilarious gardening comedy starring Pam Ayres and Geoffrey Whitehead. At times almost predictable but always funny. The (mis)adventures of running a small garden nursery are captured here. The charcaters are so well played (casting is superb). If You want a gentle humour that will cause no offence but leave you crying with laughter this is it! The only down side to this is there is no second volume and there shoud be! If you like Jack reacher or even if you don't this book will keep you listening. one of the best of the Jack Reacher books so far. Always at the limits of legality and not always appreciated Jack is a one man legal system. his version of justice is tough! 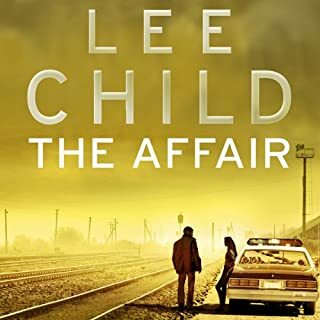 Lee child has created a character that will live on for a long time, he seems to tap in to the subconscious and takes us to a place we all think we know, small town america. Because he fits his characters and locations so well with peoples mental pictures the stories come alive. Reading is a little different if you are used to Kerry Shale (who I personally prefer) but still an excellent narration. This is one of those rare books that seems to have been made better by being read - brilliant! David Tennant (Doctor Who) and Liz Carling (Casualty) star in the sitcom about a young couple, Daniel and Lucy, and their circle of friends. In the second series Lucy drags Dan to the gym after yet another night on the tiles and Dan's best mate Andy is surprised to meet Lucy's old school chum. Dan and Lucy's getaway plans are thwarted by other people's problems, Steve and Linda host a dinner party, and with news of another baby for their best friends, Dan takes action over Lucy's reaction. Loved the first series on the radio and couldn't wait for series 2 so bought from Audible. One of the best sitcoms of recent years. David Tennant and Liz carling are brillaint as the anti parenthood couple. The way they see the world around them, full of other couples with kids and all the problems that brings is wonderful. The humour is at times drier than a liquid Nitrogen Martini. However, it's always funny and very fast. This really is something you can listen to many times and always find a nugget of humour you missed the first time. This is one to get and keep. You'll listen to it again and again. 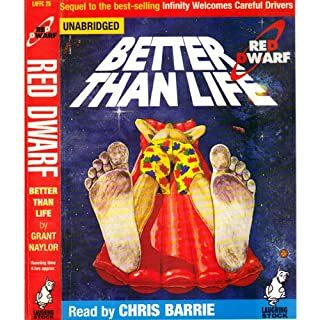 Chris Barrie's reading makes this a great book. He brings authenticity to the characters. So we keep all the personality that we know from the TV cast whilst bring a whole new feel to it as coming from rimmers view. The story is not as good as the first book but the reading and chaacters make up for this. Two small towns in Colorado: Hope and Despair. Between them, nothing but 12 miles of empty road. Jack Reacher can't find a ride, so he walks. All he wants is a cup of coffee. What he gets are four redneck deputies who want to run him out of town. 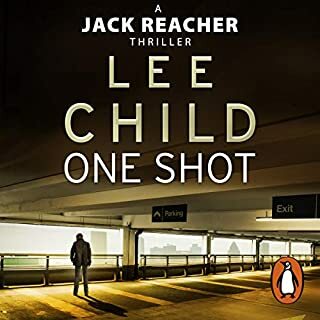 If you like Lee child and enjoy the Jack reacher books this one is a must! Everything you have come to expect and enjoy about this character is brought to life. Well written as always and a perfect reading make this one of the best audio books I have heard for a long time.